The world's busiest train station can be found in Tokyo, Japan. 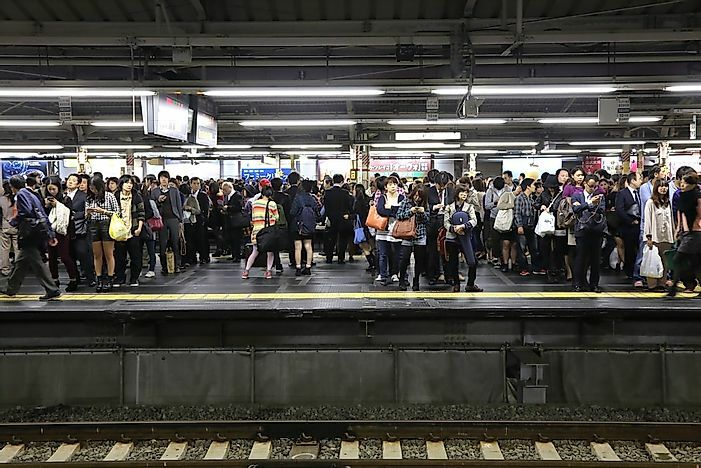 Passengers wait at Shinjuku Station, the busiest train station in the world. 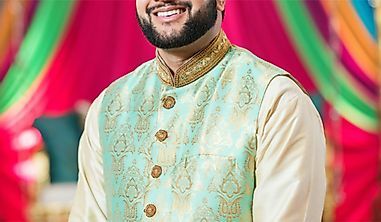 Editorial credit: charnsitr / Shutterstock.com. The growing economies around the world are dependent on efficient and reliable means of transport. 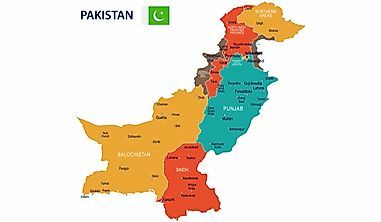 Countries will well-developed infrastructures are likely to have an edge over those with infrastructural challenges. One of the most reliable means of transportation is the rail transport. In developed countries such as the US and Japan, millions of passengers use trains daily to and from work. Major train stations have been put in place to meet the growing demand, with the existing stations adding concourse and lines to cope with the growing passenger demands. We discuss seven of the busiest stations in the world below. 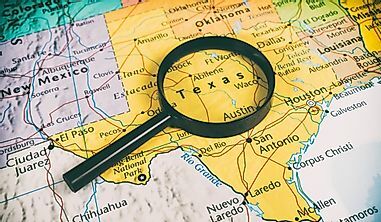 Editorial credit: Benny Marty / Shutterstock.com. 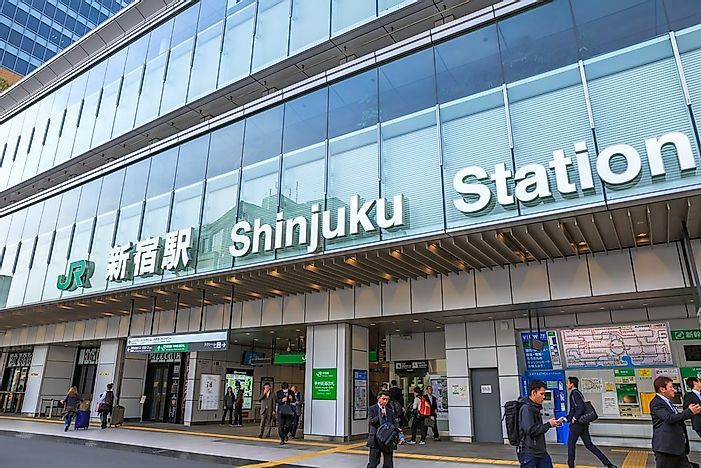 With over 3.6 million people passing through the station daily, Shinjuku Station in the city of Tokyo, Japan, is the busiest train station in the world in by passenger use. The station is the main hub for trains connecting special wards and Western Tokyo. Shinjuku Station has 36 platforms including above and underground arcades, over 200 exits, and several hallways. It consists of five stations including JR-East, Tokyo Metro, Odakyu, Toei Subway, and Keio Corporation. JR-East station is the busiest of the five stations, serving approximately one million people every day. Shinjuku Station was opened in 1885 and was one of the less trafficked stations in Japan. The opening of Keio and Odakyu Lines in 1915 and 1923 respectively led to increased traffic through the station. 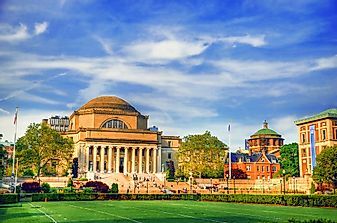 Editorial credit: TungCheung / Shutterstock.com. Gare du Nord is the busiest train station in Europe by the number of passengers, serving approximately 214 million travelers every year. The station was first opened in 1846 with major expansions following. It was again reopened in 1864. With 44 platforms, it is considered the second largest train station in Europe by platform. It is serviced by three major transit systems including the Paris Metro transit system, the RER railway system, and other bus routes. Gare du Nord station has two lines with one line running from north to south of Paris. The station also serves international destinations such as Germany, the UK, Netherlands, and Belgium. A plan to construct hallway between it and Gare de I’Est in advance stages and will be completed once the LGV Est starts serving the station. Editorial credit: Korkusung / Shutterstock.com. Howrah Junction is the largest railway station in India, serving approximately 700 passengers daily. It is an intercity station that serves Kolkata and Howrah. 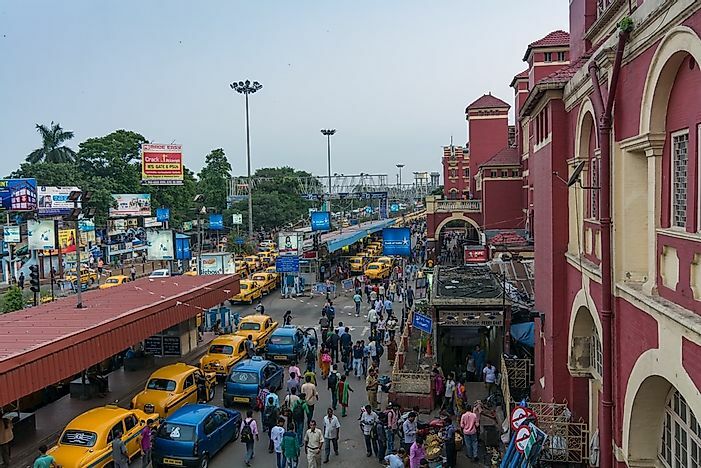 Howrah Junction is situated in Howrah on the Hooghly River west bank and is directly connected to 1273 stations across India. 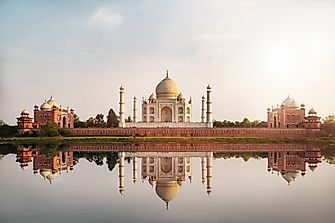 The station was opened to the public in December 1905 and the first train left the station for New Delhi in 1969. Howrah Junction has 23 platforms with the first 15 platforms situated in the old complex commonly known as Terminal 1 while the rest of the platforms are located in the Terminal 2. Terminal 1 serves trains the local trains from Eastern and South Eastern Railway while Terminal 2 mainly serves the long-distance trains from South Eastern Railway. The Grand Central station is situated on 42nd Street in New York City. It serves passengers traveling to Duchess, Westchester, and Putnam counties on Metro-North Railroad and also contains a connection to New York City subway. Approximately 750,000 people pass through the station every day, making it one of the busiest train stations in North America. 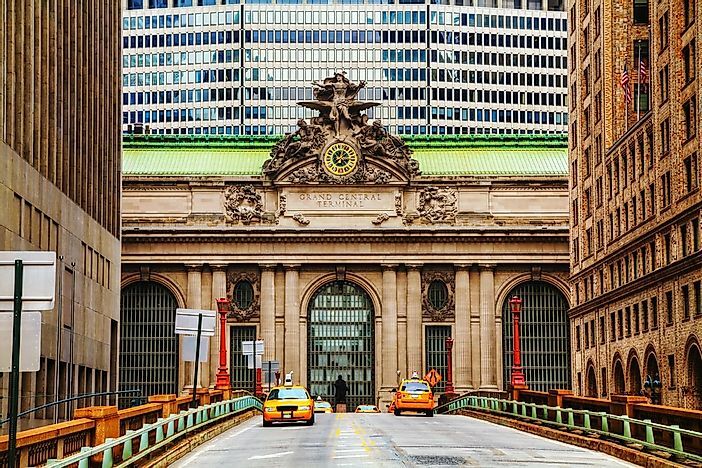 The distinctive architecture and the interior design of the Grand Central Terminal have earned it a place in the US National Historic Landmark list. 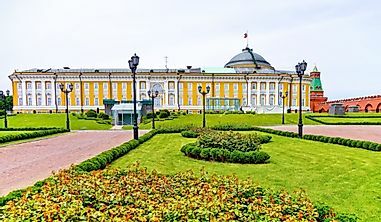 It is also one of the most frequented stations by a tourist with over 22 million people visiting the station in 2013 in addition to the passengers who used the station. Grand Central Station has 44 platforms and all the platforms are on the ground, serving 56 tracks. However, only 43 tracks are currently in use. London Waterloo is an important place of arrival and departure for commuters and holidaymakers. It is the largest station by floor area and the busiest station in Britain. London Waterloo is situated in the Waterloo area and connected the London Waterloo tube station. It was opened in 1848 to replace the Nine Elms. The station was rebuilt in the early 20th century to include the Victoria Arch at the entrance and reopened in 1922. London Waterloo has 130 automated ticket gate and 24 platforms. 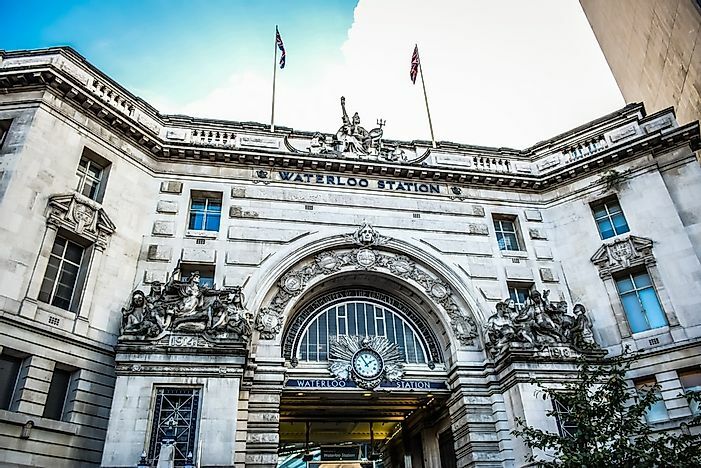 When combined with Waterloo tube station and the East Station, it becomes the busiest station in Europe, handling a total of 210 million passengers in 2015-2016. Several London buses stop at London Waterloo including 1, 26, 68, 176, 188, and RV1. Other buses also stop at the side of the station on Waterloo road. Hamburg Hauptbahnhof is a major railway station in Germany, serving Hamburg, Germany. It is considered a category 1 station by the Deutsche Bahn. The station was established in 1906 to replace 4 terminal stations. The station serves approximately 480,000 passengers every day and is operated by the DB Station and Service AG. 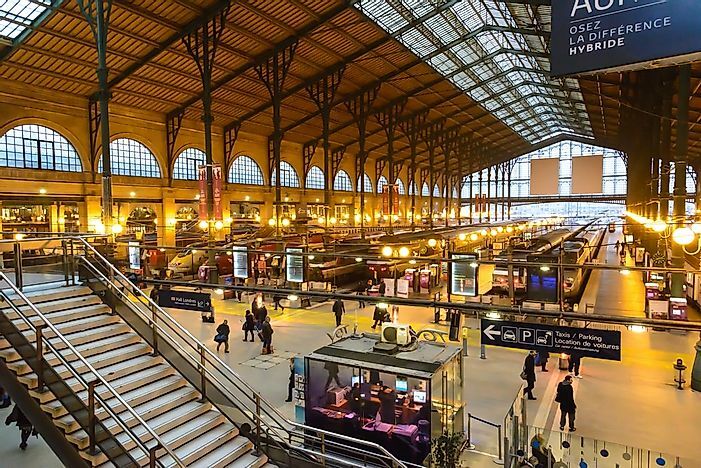 It is also the third-busiest station in Europe after Gare du Nord and Gare de Chatelet, both in Paris. 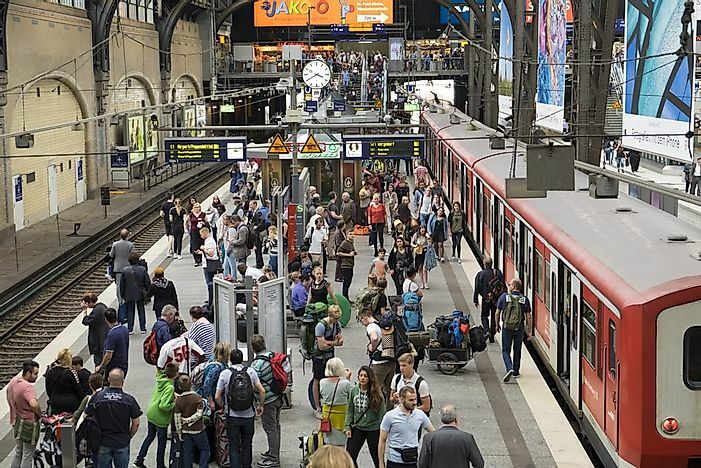 Hamburg Hauptbahnhof is a through station centrally located in Hamburg and connects long-distance Intercity-Express routes to the U-Bahn and S-Bahn, the two central intersections for two rapid transits in the city. 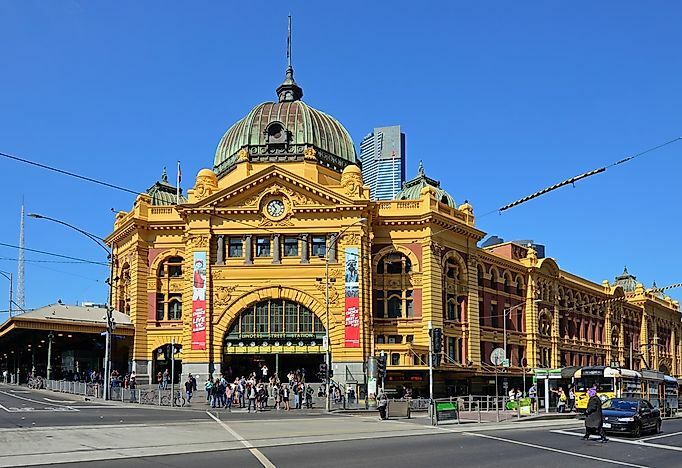 Flinders Street station is the busiest train station in Australia with over 92,000 passengers every day. It is located at Flinders and Swanton Street in Melbourne. The station serves the entire metro rail. Flinders Street Railway Station was the first railway station in an Australian city and the busiest station in the world in the 1920s. The main building was completed in 1909 and is currently a cultural icon in the country and is also listed in the Victorian Heritage Register. The famous saying in Melbourne, “I’ll meet you under the clocks” is always refer to the clocks located on the main entrance. The clocks on the entrance indicate the train schedules for each line. The station also has wide staircases underneath the clock from which the phrase “I’ll meet you on the step” is coined. Flinders Street Railway Station is also responsible for the busiest pedestrian crossing in Melbourne. Where is the World's Oldest Train Station?